Build and lead your Tec faction to victory, overcoming other factions and the omnipotent oligarch that is Metrix. Metrix was one of the designers who created the Mindframe Arena and he wants to remain in control. Tecs are the native characters that inhabit this virtual world. Each one has different spells and they are organised into groups called factions. You need to learn about their skills and abilities and create your own faction to journey to the centre of the arena. 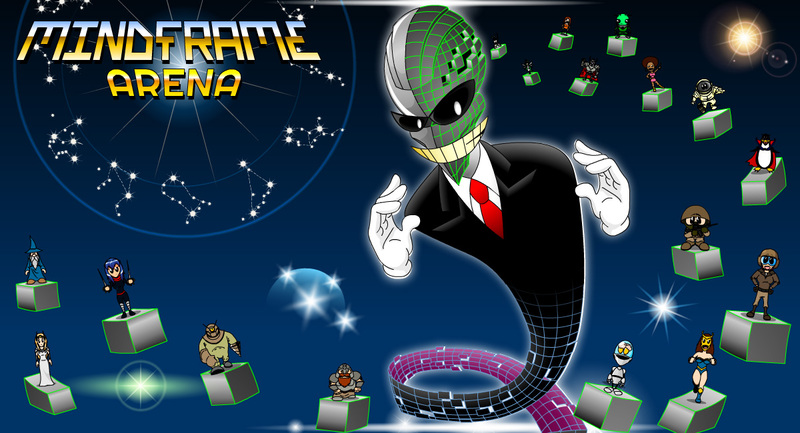 Mindframe Arena is a fast paced, challenging game combining classic board gameplay with collectable card type characters and upgrades. Updated screenshot and video.......We aiming to soft launch on Android next month !